All Adidas Next Generation Tournament are in the books now. Fourth qualifier unfortunately appeared to display the weakest overall level of competition. One more time Crvena Zvezda took the crown behind the remarkable Zoran Paunovic form. Let’s see who impressed beside him in Belgrade. ZORAN PAUNOVIC (2000, 6’7, GUARD, CRVENA ZVEZDA) – Absolutely stunning performance. Paunovic explosiveness was just too much for any defender in Belgrade. When he came to Red Star his attributes were basically limited to athleticism. It is great how much he is building over it skillwise. Moreover the pace of development is really rare for not naturally talented player as he is better every time we watch him. Standing close to 2 meters with shoes, Paunovic is a slasher with more and more notable playmaking skills. He keeps improving his PnR reads and reach helps him with finding passing lanes. His first step, bounce and fearless attitude are really deadly combination. His mid range pull ups can look unorthodox at times because of questionable timing he takes them with or overly high release point but are really reliable. Then as befits Crvena Zvezda player he is tough as nails and plays much above average defense. Stats may be mindblowing but we have to keep in mind low level of competition. For example Amar Gegic who is not very different player than Zoran averaged nearly triple double at Belgrade AdidasNGT two years ago and now is not somewhere on the bottom of NBA scouts shortlist. That’s why I wouldn’t state that Paunovic is NBA prospect. However there is a need for player like him on high level. 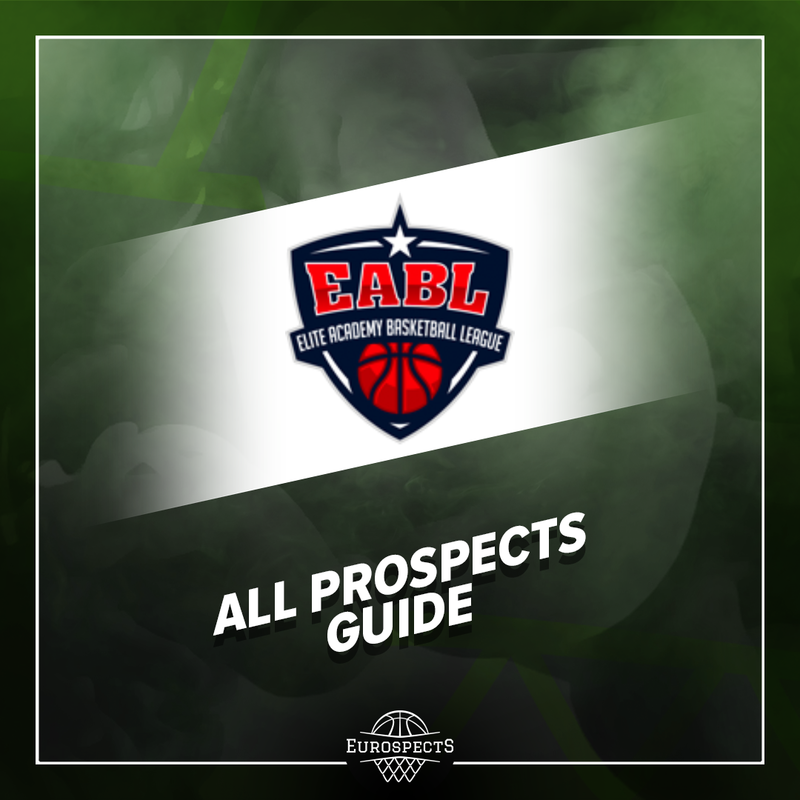 Energetic slashers with work ethic, projectable stroke, great physical tools who can be secondary ball handlers and are willing to compete with everyone. TARIK BIBEROVIC (6’7, GUARD, OKK SPARS) – Bosnian prospect didn’t have an easy job in Belgrade. Being way more talented than rest of the team causes huge defensive focus. 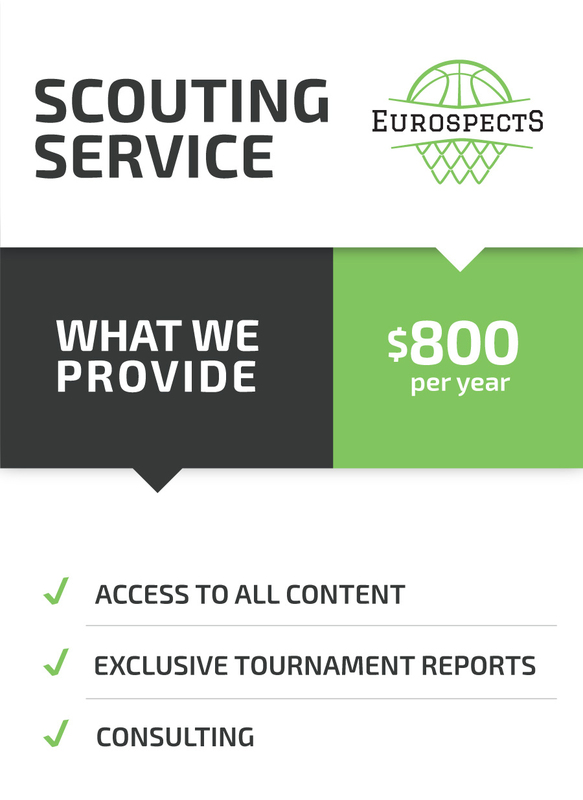 Moreover if arguably the best team in Europe invest a lot of money in someone, talent evaluators focus on this person equally big as opponents scouting staff. At 6’7 Tarik possess enough height to check boxes on 1-3 positions but thinking from pro perspective is the most suitable as shooting guard. His stroke is very natural, effortless and the range that he possess is desirable on NBA level. Basically I don’t see any obstacles that could hold him from becoming elite executor in spot up situations and that’s how he can translate for the highest level. Especially if he polishes off screen shooting. In youth basketball Biberovic is far from being one dimensional player, However he is not blessed with more than average explosiveness, shot creation process can be uphill battle at times and his scoring abilities are (very) good not great. That is why I doubt if he can get buckets at will and produce his own offense consistently on Euroleague or NBA level. He will also have to make adjustment defensively when he is one of go-to guys instead of the only one. I am not stating that his role will be limited to just firing it from the 3 point line as he displays quite well rounded offensive arsenal and will always provide much more than just specialised shooters thanks to his flair. He may just need raise it to superior level to help his draft stock. MARKO PECARSKI (2000, 6’10, CENTER, PARTIZAN) – It was 5th Adidas Next Generation Tournament for highly touted Serbian prospect and 4th different team. It’s obvious that it’s no longer his level of competition. With average effort and being barely recovered from the jet lag. Marko was doing his things and scored almost point per minute over the tourney. He has whole array of instincts helpful on basketball court that cannot really be teached or polished to the degree like in his case. He is super smart rebounder with perfect positioning, nose for the ball and high shoulders which extend his reach and make up for lack of great bounce. Offensively Marco is a pure talent. We could make an impressive compilation of his advanced footwork and difficult turnaround jumpers. His skillset allow to create separation and just find a way to score against players with much better tools. There are obvious questions whether he can do this consistently against NBA length and survive there defensively. He didn’t really help his draft stock at BWB global camp and is not the best fit for the top league in the world unless he starts shoting amazingly well from behind the arc. However you can see that he is already legitimate rotation member on notable level where he come from and how close he is at the age of 18 to match the production of established players in good pro European teams. LEO MENALO (2002, 6’8, FORWARD, CIBONA) – Overall weak performance of Cibona team helped Leo Menalo to get playing time. We witnessed just a small sample, mostly in garbage time but no one can stay indifferent to flashes that Crotian national youth teams member presented. Menalo, standing around 6’8 with very well proportioned frame runs the court exceptionally fluid. In general he has amazing athletic predispositions and is undermature which suggests huge room for improvement. Obviously Leo has his downsides. At the moment he is just a promise of something big. He is still figuring out his role on the court and has ways to go skillwise. However tools are there and he is must follow moving forward to all scouts. FEDERICO MIASCHI (2000, 6’5, GUARD, UMANA REYER) – Italian prospect was everything in Umana Reyer Venezia team. Given skills gap between him and rest, basically he was given license to kill and green light to do whatever he wants offensively. Miaschi is a player with high motor. His energy seems neverending but at some point he may run out of gas because of inability to control his own pace. His superior speed allow him to set apart each defense on youth level. He really has finishing flair and enough power to make a play through contact. Shots the ball very quick also off the dribble but gets very streaky. I don’t ever see him as scoring PG but he really understands how much space he opens thanks to driving ability and can occasionally kick the ball out. However most of the time he looks borderline selfish and is walking definition of volume scorer. Production level in this tournament is tricky considering the surrounding. It’s been first time in one and a half year when I happened to watch Miaschi. I didn’t see overwhelming changes in his playing style, skillset and physicality. Still if he adjusts for team basketball it’s easy to picture him as desirable player on Italian market among playoff teams. For example as energetic and scoring 6th man. 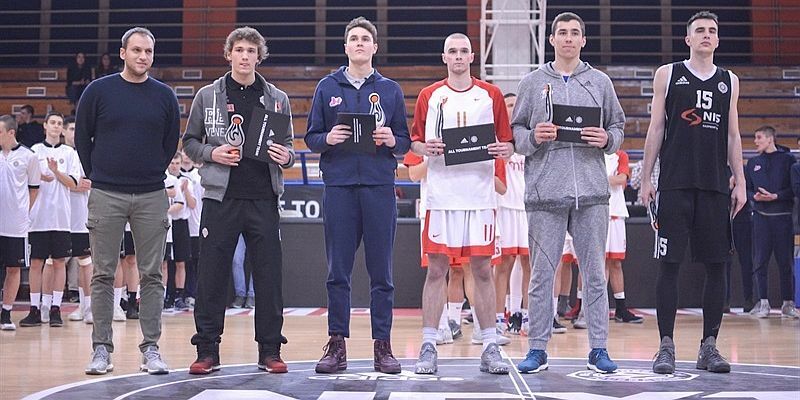 LUKA CEROVINA (2000, 6’7, GUARD, MEGA BEMAX) – All Tournament Team meber. Kragujevac native is having a breakout season and seems to headline 2000 generation in Mega Bemax which this time lacks legitimate NBA prospect. Luka is not consistent with his performances but flashes of excellence he shows make up for this. Cerovina profiles as 6’7 point forward who can produce his own offense and regularly feeds teammates with dimes. Especially his passing skills on the move are highly intriguing. He is dangerous either with his face and back to the basket. In general offensively he is really well rounded. Excels with the ball in his hands either in iso or pick and roll situations. However for the guy who used to be in the background of more publicized prospects who could be have bigger non dribble presence and control on himself. Has projectable strength, some shiftiness and long strides while getting downhill but is not a special athlete. MUSTAFA KURTULDUM (2001, 6’5, GUARD, ANADOLU EFES) – Third best scorer of the tournament. Having been considered as a non-shooter in the last two years due to his lack of consistently hitting perimeter jumpshots, Kurtuldum broke the taboo and hit 39% from deep in the tournament. Well known for his good team membership, he scored almost anytime when Efes was desparate for baskets. Listed as 6’5 shooting guard, Kurtuldum does not have the best frame, but his skills on the both end of the court makes it up for him well in these levels. Interesting thing is that he can play according to the needs of the team, he plays lockdown defense to match-up opposition’s best player or play the pick and roll when point guards are on the sideline. Jack of all trades on offense but still needs to improve his first step and strength overall. Defensive potential is somewhat limited due to his body and mediocre wingspan, even though the spirit is there. 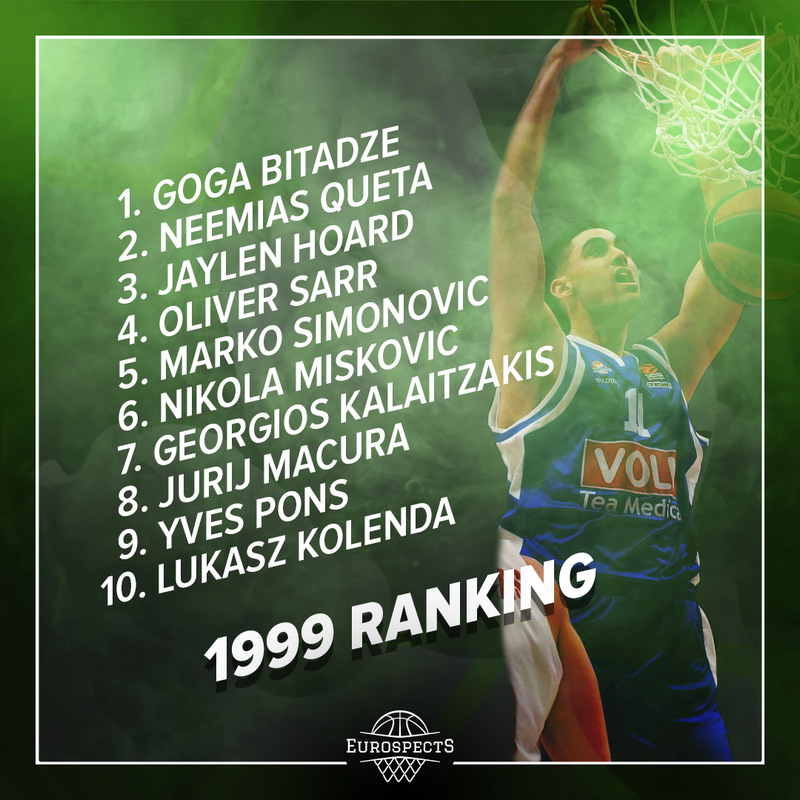 His 41 point outing against Spars Sarajevo is now the third best scoring performance in ANGT history. KENAN KAMENJAS (2000, 6’9, CENTER, OKK SPARS) – Superior rebounding numbers gave him a nomination to All Tournament Team. Bosnian Center has a real strongman predisposition. Playing in traffic term literally doesn’t exist for him as he clears out space at will from all his peers. He is a bit more than just pure strength regarding the motor, touch, passing ability or flashes of solid touch. Lacks a great length and sometimes tries to be too dominant with his enormous bulk which shows in foul trouble. 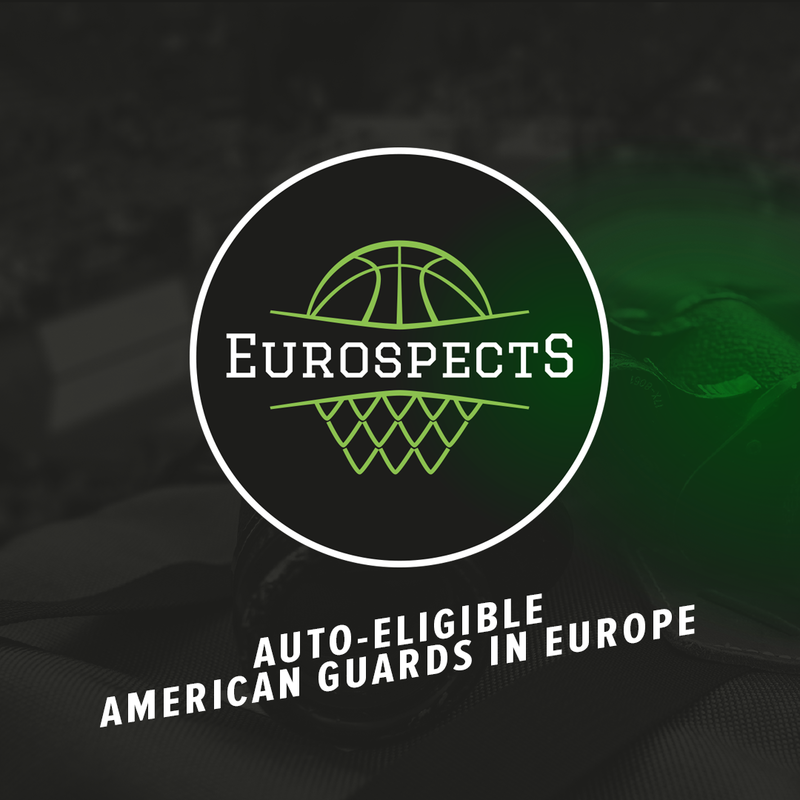 LUBOS KOVAR (2000, 6’8, FORWARD, GBA PRAGUE) – Czech prospect seems to headline this generation in GBA altogether with Mark Jaakson. 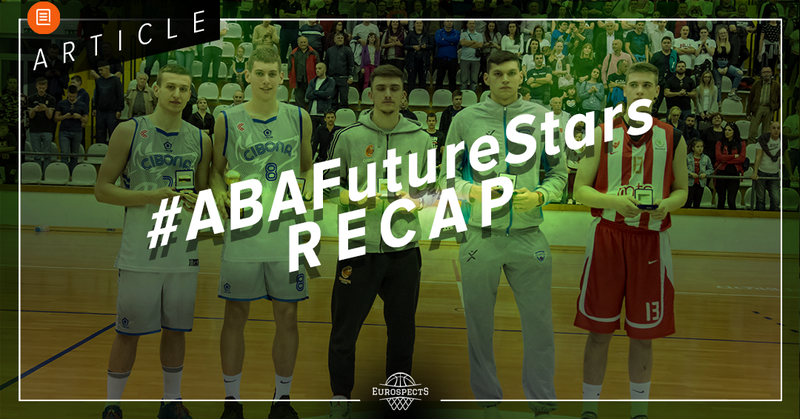 Basically each member of Prague Academy could be given the same description – average tools and talent but plays super hard, has work ethic and valuable teammate qualities. However Kovar takes those attributes to even higher level while also having slightly better skillset. He is kind of combo forward who is tireless and checks many boxes. Very positive rebounder able to drive in straight line. Needs shooting consistency. ALEKSANDAR LANGOVIC (2001, 6’9, FORWARD, MEGA BEMAX) – Last summer Langovic presented himself as a fanstastic athlete at FIBA U16 European Championship. He got visibly heavier which reduced his speed and bounce in big degree. Seems to be moved much more inside and no longer attacks closeouts in remarkable way but is still very efficient. Plays super hard and operates inside on good FG percentage. While IQ is average has a nose for rebounds and very long arms. However in my eyes it’s not enough for high level 4-5 hybrid and he needs to get back his athleticism.